"He enjoys his walks on leash and loves having his new soft coat petted." 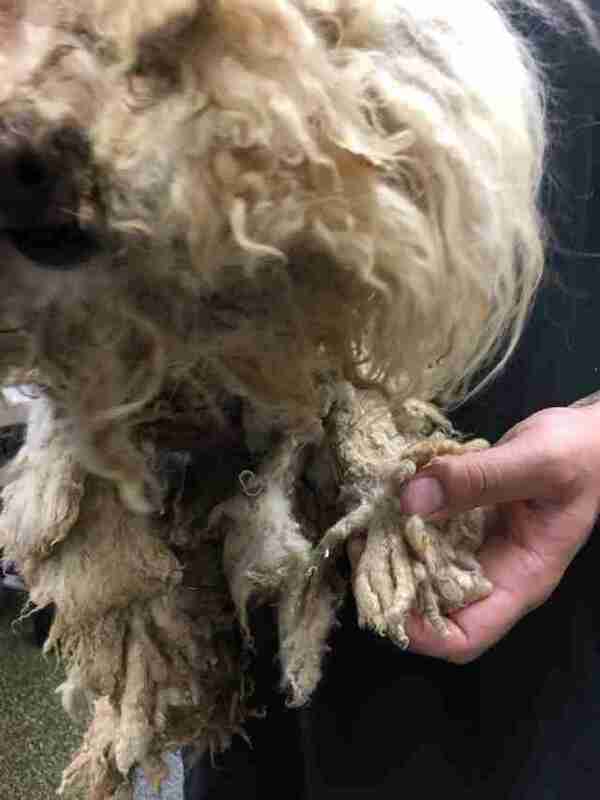 Likely for as long as this little dog named Jareth could remember, he'd been imprisoned — not behind bars and bricks, but beneath a thick coat of heavily matted fur. Thankfully, though, that's now all behind him. 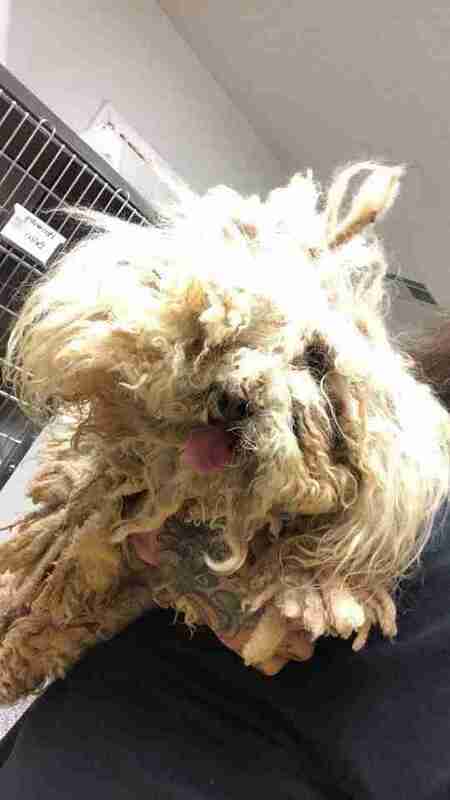 Jareth, a 5-year-old poodle, was surrendered to the Valley Animal Center in Fresno, California, earlier this week. The specifics on his background are unclear, but it was obvious the dog had suffered severe neglect at home. 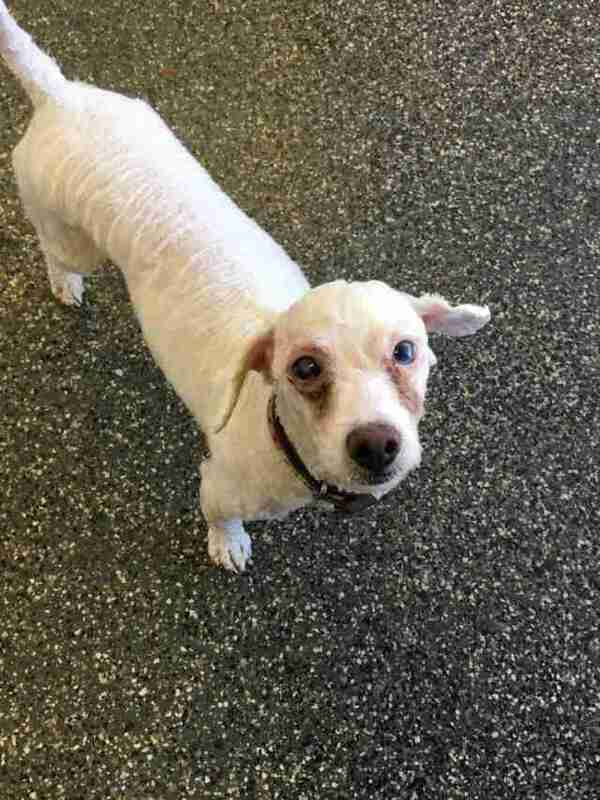 "Our staff was in complete shock as they carried him into our adoption center," Devon Prendergast, community relations coordinator for the shelter, told The Dodo. 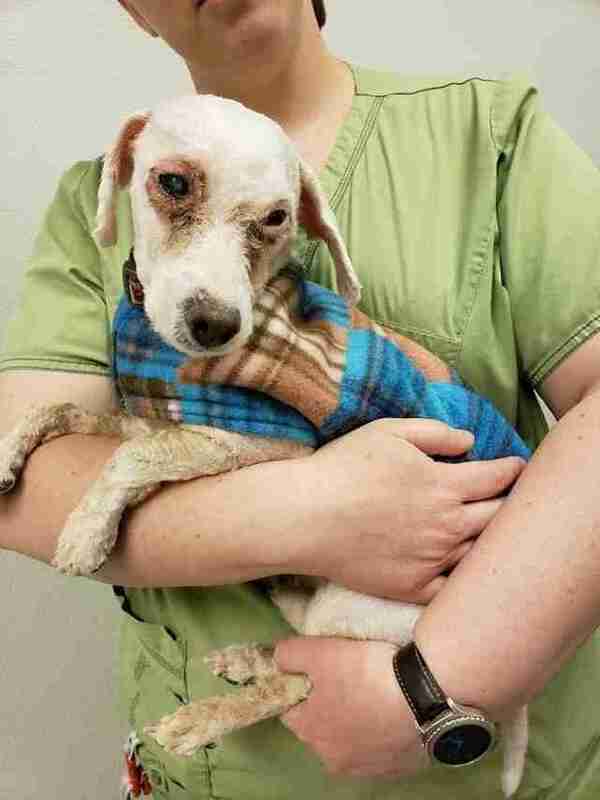 "One of his eyes was completely covered by the matted fur and stickers intertwined in the fur. His feet were so matted that his pads couldn’t touch the surface of the ground and he could barely move." Fortunately, Jareth was now in good hands. He might not have known it at first, but everything was about to change for him. 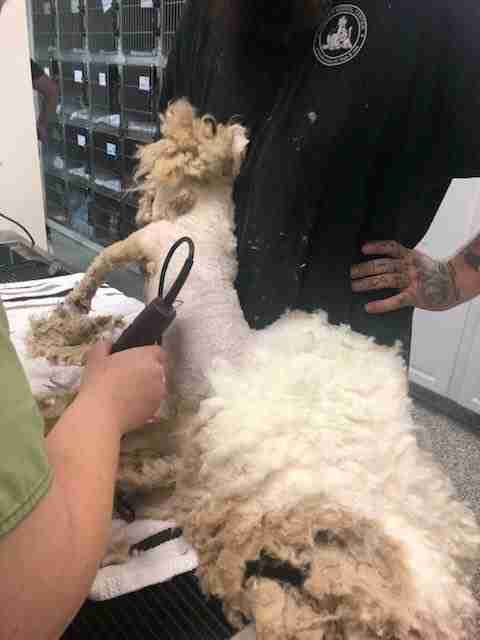 "Our animal care team rushed him to our clinic within the hour, and due to the severity of his condition, had to sedate him to remove all the excess fur," Prendergast said. Slowly but surely, Jareth was unshackled from his matted prison. 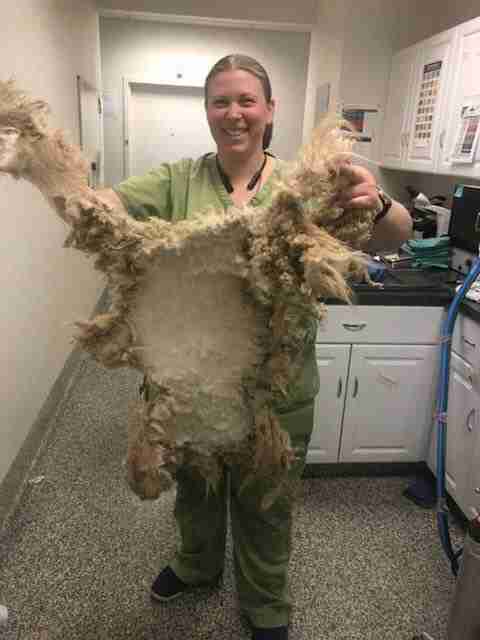 In all, more than 2 pounds of fur were removed. Jareth was now free — but the emergency makeover didn't just transform his appearance. His personality, too, could now shine through. 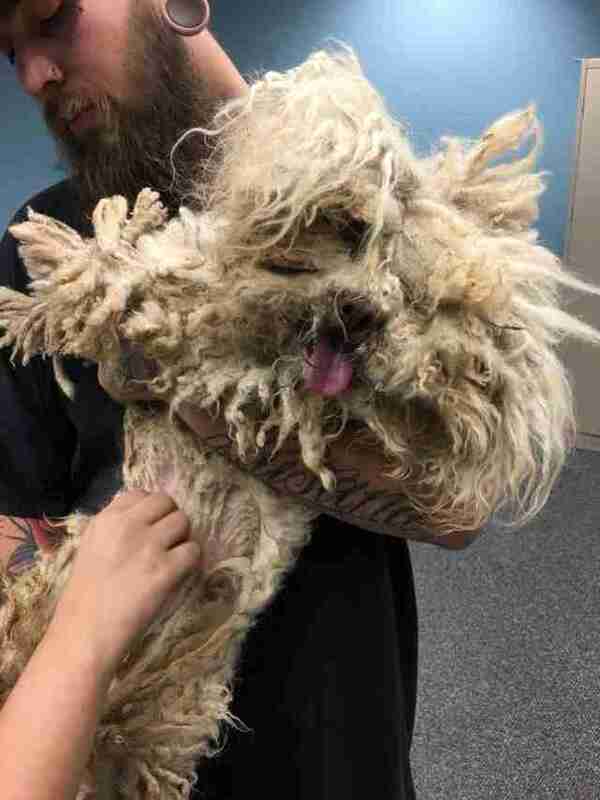 "Although he suffered severe trauma and neglect, just four days after having all the matted fur removed, Jareth is now vocal and full of energy," Prendergast said. "He enjoys his walks on leash and loves having his new soft coat petted." But hopefully, the best is yet to come. Once Jareth has recovered fully from his long ordeal, he'll be made available for adoption into a forever home, to carry on with his life both free and loved (like every dog should).